There’s no shame in faking it ‘til you’re making it, and what better way to fake it than by driving a genuinely nice and enjoyable ride. This is good for self confidence, impressing a date, impressing your friends, impressing your parents, and possibly most importantly, impressing your colleagues and superiors. So what’s the secret to a car that makes you seem wealthier than you are? It’s depreciation, my friend—any car from relatively recent years that was once actually worth a lot of real money that can now be easily acquired for vastly less. Not everybody has to know you scored a deal. 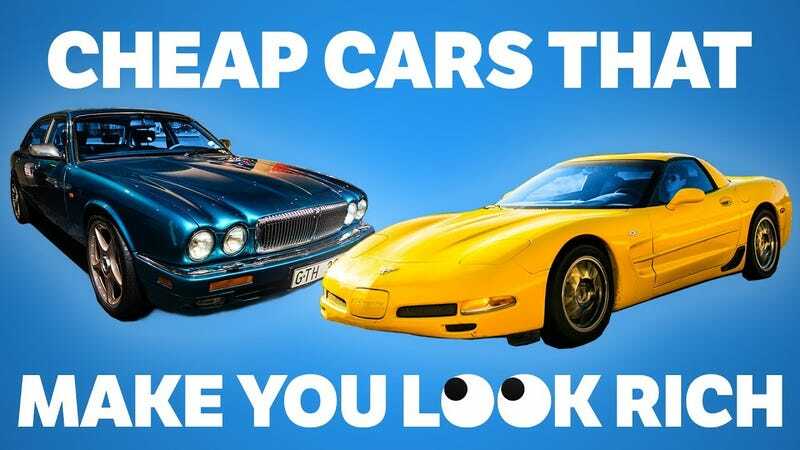 Their list includes pretty much any old Jag, specifically the XJ, P38 Range Rover, E38 BMW 7 Series (my personal favorite pick), the C5 Corvette Z06, Mercedes S-Class W140, E46 BMW 3 Series (a car I bought when I got promoted to assistant manager at my fast food gig in high school and, admittedly, wanted to show off the fact that I had an miserable annual salary and not an hourly rate), the first generation Audi S8, and the least-loved Rolls Royce, the Silver Shadow, which looks incredible. You are crazy if you do not love the Silver Shadow. A chat around the office brought up some older AMG models, a nice, big well-optioned truck, or maybe an Infiniti if you’re looking for something less-exciting. Are there any other great deals that will class you up that this list left out?